It is: (1) a beginning book (for those just starting out ) and (2) slowly morphs into an advanced book. These are the materials I use and what I have taught to hundreds of great students through the the years of which some have become top drummers with recognizable names. 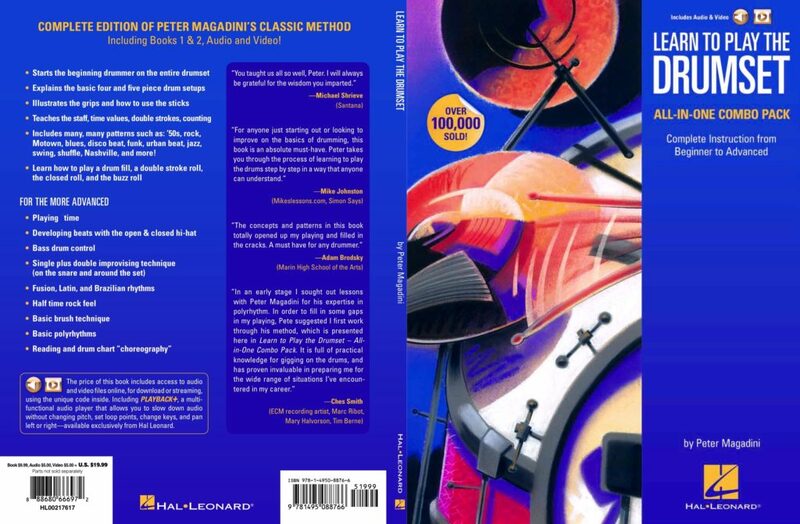 * Check out the back cover for all that is included in the “new” version “All -In-One-Learn To Play The Drumset” plus since then I have added new concepts to my program which are included in this book.. There are now video links, to on-line content, of exercises and patterns found through-out the entire book. * For those who complete the entire book we are offering a personal “Certificate of Achievement” (diploma) signed by me personally. It is a robust, gold embossed 8×10 award that is presented to you (in your name) – just pass the compulsory exam, that shows you can play the material, then contact me thru the website when your ready to take the exam.